The 15 SEAMEO Centres and the SEAMEO TROPMED Network convened their respective Governing Board Meetings for 2012 at various dates and venues in the months of September and October. Each governing board meeting was held one after the other beginning 4 September until 28 of October 2012. Almost 200 senior officials and representatives from SEAMEO Member Countries participated in the series of meetings that focused on the review of accomplishments of the Centres for the past year, and the setting of direction and drawing up of plans for the next fiscal year. The Governing Board is the policy making body of each of the SEAMEO Centres and meets annually. The Board, which is consisted of representatives of the Member Countries of SEAMEO, sets the policies and directions of the Centre. The members are senior officials in the ministries of education and other government ministries and departments who are appointed by the SEAMEO Council President upon nomination by their respective governments. The centre director and the SEAMEO Secretariat Director serve as ex-officio members of the governing board. 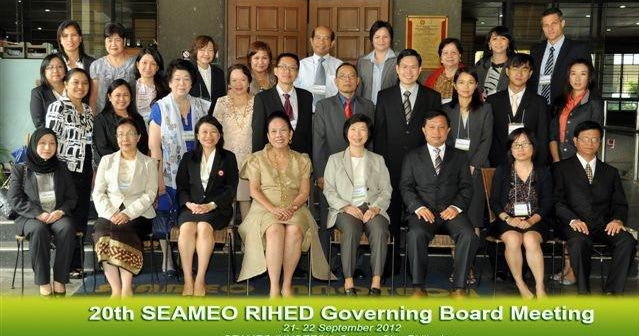 The 20th Governing Board Meeting of SEAMEO RIHED was held back-to-back with the Regional Seminar on Internationalisation of Higher Education in Southeast Asia. The meeting and the seminar were held at SEAMEO INNOTECH in Quezon City, Philippines. 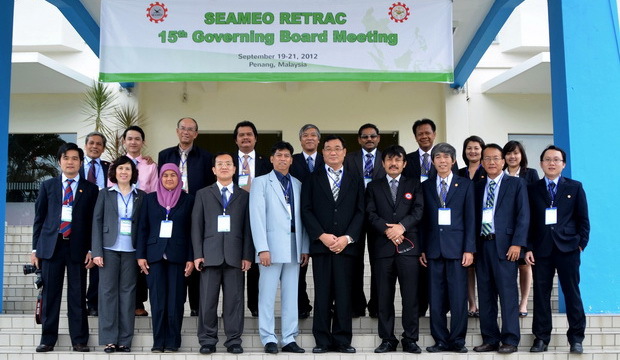 The 50th Governing Board Meeting of SEAMEO BIOTROP was hosted by Singapore and held at SEAMEO RELC. The 56th Governing Board Meeting of SEAMEO INNOTECH, Penang, Malaysia. Members of the Governing Board of SEAMEO QITEP in Mathematics wear batik shirts and blouses during the 3rd Governing Board Meeting of the Centre from 24 to 28 September 2012 in Bali, Indonesia. 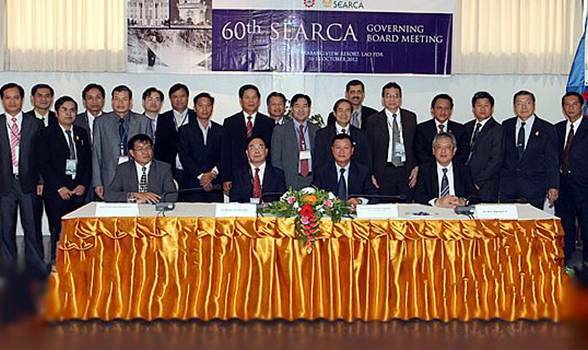 The Government of Lao PDR hosted the 60th Governing Board Meeting of SEAMEO SEARCA in Luang Prabang. The 15th Governing Board Meeting of SEAMEO SEAMOLEC was held in Danang, Vietnam back-to-back with the Seminar on Southeast Asian Open and Distance Learning in the 21st Century from 24 to 28 October 2012. 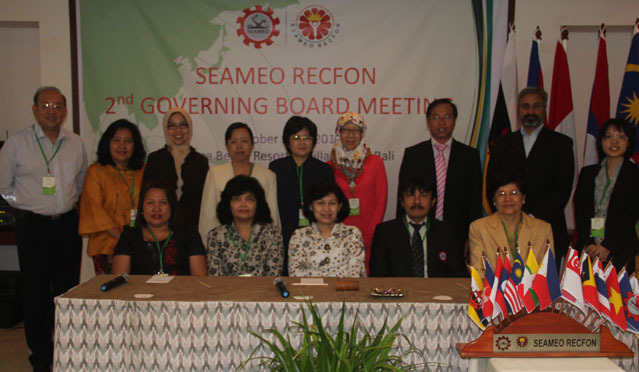 The 2nd Governing Board Meeting of SEAMEO RECFON was held in Bali, Indonesia from 19 to 12 October 2012.